This is press release captures our 2014 USA trip! DakotaGoes.com announced today that it would initiate a fundraising tour that will cross the United States to raise donations for Children’s Hospital of Orange County (CHOC) and Children and Nature Network (C&NN). Dakota, a 5-year-old Australian Shepherd, will ride, walk, leap and run to visit national parks and monuments throughout the U.S. Through these experiences, he will share exciting facts about nature and his adventures on the Dakota Goes website. Dakota Goes is a new blog aimed towards children of all ages. The goal is to promote outdoor activity for children with stories from Dakota’s high-energy, K-9 point of view that barks with excitement. The voice behind Dakota, Rene Zavala, comments on her motivation to share her Dakota goes experiences. The journey will begin May 1, 2014 and kids will be able to visit http://www.DakotaGoes.com to see what he’s digging up and find out what natural marvels there are to discover in our Country’s backyard. His stories, educational fun facts and beautiful images of mountains, lakes, trees and Dakota having some fun will be posted every few day throughout the 6 week adventure. There will be a map page on the site where kids can follow Dakota as he hits the trails. They will also be able to contact Dakota and ask him questions or comment on his adventure whether he is camping, hiking or just burying a bone. Dakota hopes to raise awareness among parents of the value of participating with their kids in outdoor activities while he inspires kids with his personal adventure. 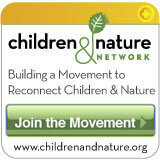 Dakota also aims to encourage kids and their parents to donate to CHOC and C&NN along the way. The goal is to raise $2,500 for each organization. DakotaGoes.com will have information on donating and other things kids and parents can do to help. DakotaGoes.com is a youth inspired blog designed to promote exploration of nature and outdoor activity among children. Dakota, an Australian Shepherd with a penchant for fun and exploration, narrates stories, conveys news and outdoor adventure resources for kids and their parents. By providing real life stories of nature travel, Dakota describes his adventures and use it as a vehicle to share educational information. The mission is to inspire kids to have fun, be active and connect with nature everywhere! Visit http://www.DakotaGoes.com to follow.